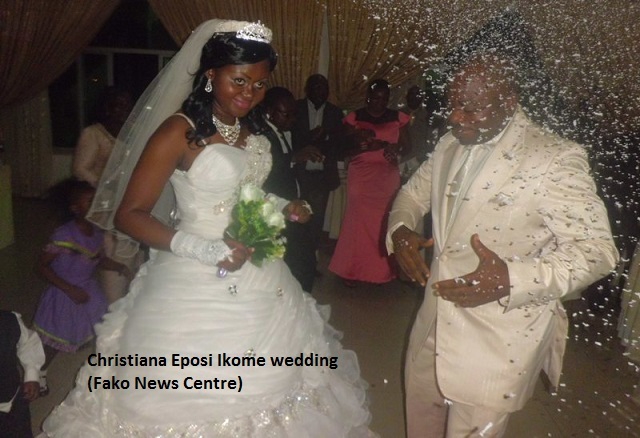 The 2008 Cameroon tourism pageant, Christiana Eposi Ikome, is now Mrs. Nkouako. 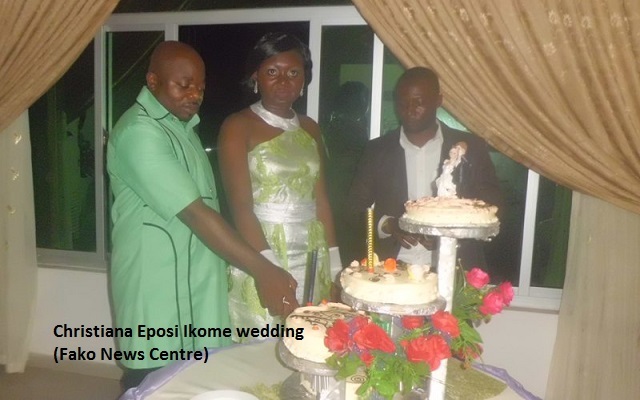 Her union with Mr. Emmanuel Nkouako was legalised at the Buea Municipal Council on Saturday, 05 March 2016, and later blessed at L’eglise Evangélique du Cameroon that same day. 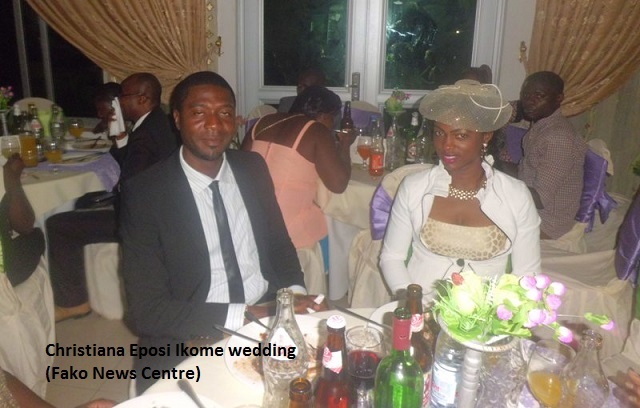 After taking their marital vows at L’eglise Evangélique du Cameroon, the wedding party was organised at the Banquet Hall of Mountain Hotel, Buea. However, preceding the legalisation and blessing of their marriage, the traditional wedding was held at Gbwiteva village where Eposi Ikome hails from. 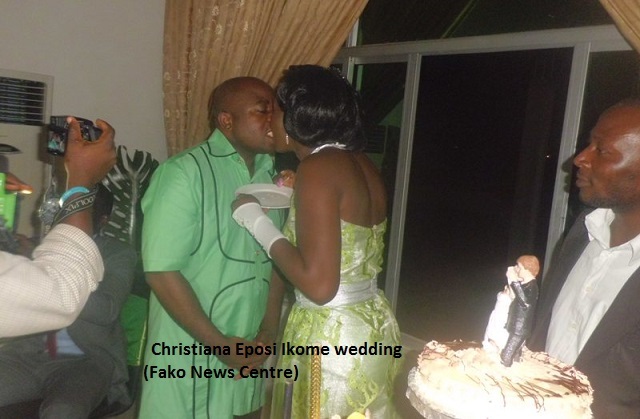 The wedding was organised according to the customs and tradition of the people of Fako Land, the Bakweries. 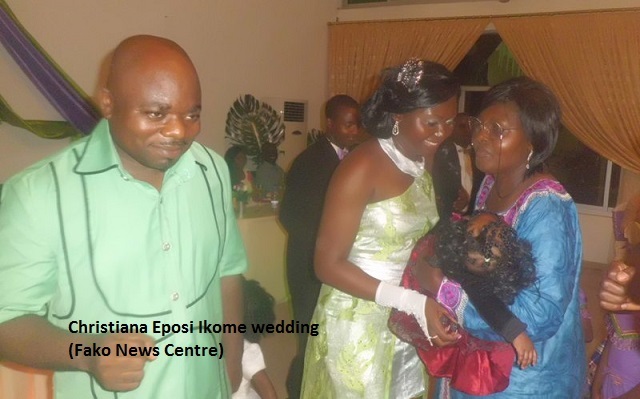 Here, the Family of Mr. Nkouako who hails from Nkam Division in the Littoral Region of Cameroon visited the compound of Eposi’s parents Mr. and Mrs. Ikome Likambi, and solicited for their approval to let their son marry their daughter. They performed the traditional rights and both families celebrated. Eposi Christiana Ikome brought joy to the South West Region and the Bakweri people in 2008 when she represented the Region in a beauty contest organised by the Ministry of Tourism and other stakeholders in Cameroon. She was crowned Cameroon’s tourism beauty queen on Saturday 27 September, 2008 in Hotel Mont Febe, Yaounde. 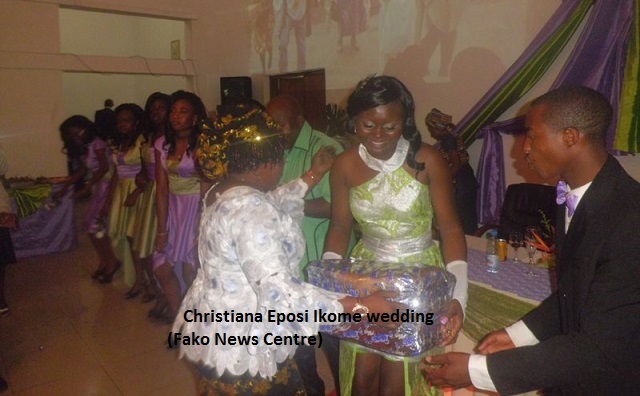 Christiana Eposi Ikome is very special to Fako News Centre because when Fako News Centre was created in September 2008, the article on her pageant victory was the first ever article to be published on Fako News Centre. She was 19 years old just getting into final year in the Faculty of Education, University of Buea, when she was crowned Cameroon’s Tourism Beauty Queen. She also took the stage again on 10 April, 2010, this time to contest for the Miss Cameroon Lux 2010 after being crowned Miss South West Region Lux 2010. Christiana Eposi works at Mountain Hotel, Buea, where she is 'Purchasing Coordinator' and her husband works at Elections Cameroon in the Centre Region.